Now morning about an annual grant bill that is amazing that can be going on in chickamauga, georgia. 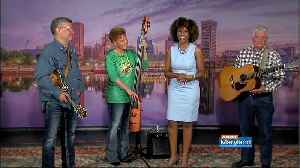 Cindy is here this morning with bluegras forever. The government is 90 alarming that i'm all that afte i more about this you festival many many years ago, in honor of this me. My sisters and a host of friends. My dad loved bluegrass music and sing the iconic lever the world photograph of the data in the lab request. Let's data we decided to carry on the tradition of his lot and bring it here in our home tampa have been for years, traveling all around great bluegrass music and a lot of great local calendar. We are in addition to bringing in our local dad got nationwide award-winning coming as well for three full days at the beautiful matt favre while in the busines grow a lot over the years total you said that their acts come from all over were selected to have a third timeout if you know anything about bluegrass music in their late fingers like a time male vocalist of the year and lorraine jordan carolina road and your latter mail blalock and his band as they ha the sound for a local show we have and with a quirky coke again. They would discard and down left left. We have all of the crown rather than our very own brian blalock lights with my many many others. 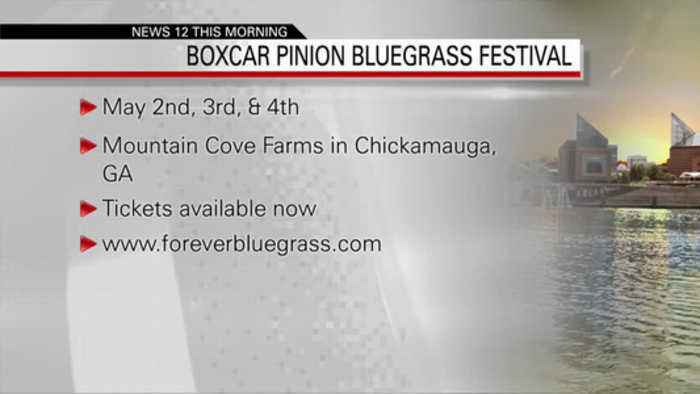 You can get to for ever bluegrass.com for the full schedule and is not just one day three full day three days music will probably go out there on wednesday, making it a because will be set not been bluegrass or suggest that excited about covenant been giant family reunion went right as well. You're welcome to brin your tickets up whatever you want to do it for you and the people inside show barn that doesn't matter. All great for salads failed. Might we be offering again as we've been making red beans and rice until beans and cornbread will be cases of tax hamburgers, hot dogs, curly fries, you name it we have thought our isotope is taken place. Thursday, may 2, friday, may 3 and saturday, may 14, the courts were to be out there on wednesday and want everybody to be sure in for a visit for ever bluegrass.com because we're doing this festival, but each week the local shows as well. In a coupl area places. So you want to mak sure you don't miss out on the banjo picking a happy bluegrass music is out is to go directly to where they can get them at are there like a collar. I believe we discussed that were gonna try t give some away here on this patient are coming up a little later on in the broadcast at th end of the shadow, not right no but later line were to have taken on for this festival really excited about it and thank you so much for the tickets this morning to get to go to the grass optimal for me coming up later on i really change a lot everything or they can have a laugh. After year in our community. 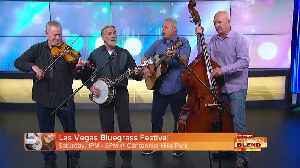 The Las Vegas Bluegrass Festival Is Back!